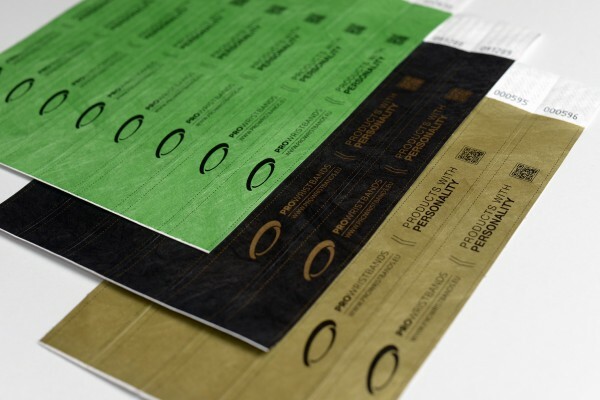 Tyvek wristbands offer both simple and cost effective solution for visitor identification and crowd control at large events or festivals. 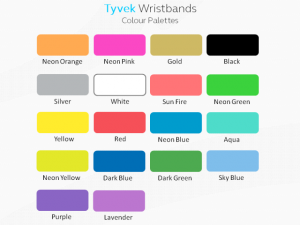 This type of personalised wristband is made out of the very durable Tyvek® material and are ideal for one or two day use. 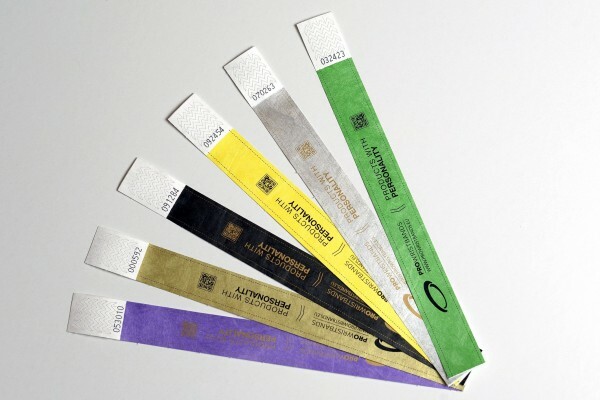 Tyvek wristbands are water proof and tear resistant with self adhesive strip at the end of it that ensures that once the wristband is closed, it's impossible for it to be open without damaging the wristband making it very difficult to transfer. Our tyvek wristbands are available plain, choosing out of 19 bright colours or printed with your text or logo using the quality silkscreen printing method. 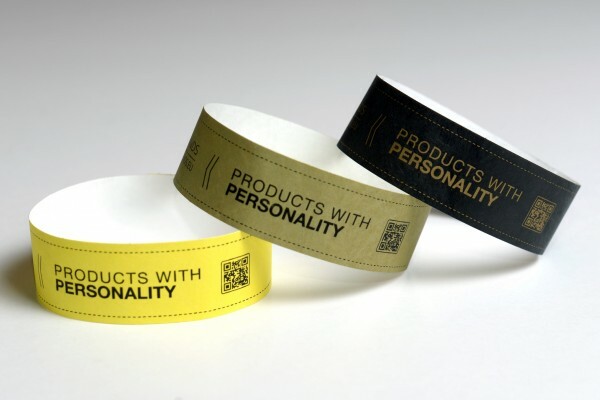 This type of wristbands is available in two different widths – 25mm and 19mm.